Tetra Pak has recently launched the Tetra Evero Aseptic one–litre – the first aseptic carton bottle for milk. 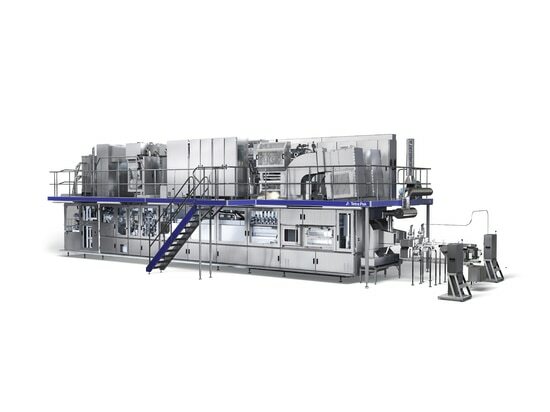 The new carton combines the easy handling and pouring of a bottle with the environmental and cost advantages of a carton. It is initially being aimed at the ambient white milk market, including non-oxygen sensitive enriched products, including flavored milk and cream. Unlike traditional carton materials, which are aseptically sterilized before they are formed into shape, the Tetro Evero Aseptic is pre-formed and not flat-packed, meaning it requires an alternative approach. The majority of existing technologies for sterilizing performed shapes rely on a gas-condensation process. This process involves the gas condensing on the material surface, but this is known to be complex and difficult to control. The Tetra Evero Aseptic, however, uses a new gas-phase sterilization technique which involves the cartons passing through a unique aseptic chamber in pairs where they are exposed to hydrogen peroxide. The gas comes into contact with the whole preformed package – inside and out, removing any contaminants that might have been present before entering the aseptic chamber. The cartons travel on steel belts during this production process. The use of steel belts is a highly hygienic alternative to using traditional plastic and PU conveyor systems. Avoiding the spread of contaminants is imperative in belt technology: steel belts are far easier to clean than their plastic counterparts and do not need to be lubricated in order to transmit power. This is important because germs and potentially harmful bacteria are attracted to dust generated by lubricant grease, which can potentially contaminate food or other products. Steel belts are not just available as flat conveyors, they can be customized in many ways and offer novel and exciting solutions to a variety of complicated conveying problems. Belts can be perforated with complex patterns for timing, vacuum or dosing applications. Together, the steel belt technology and the new gas-phase sterilization technique used in the production of the new Tetra Evero Aseptic have resulted in a highly effective means of commercial sterility – an innovative development which should now set the gold standard for the production of aseptic packaging across Europe and the rest of the world.